Increases driver and pedestrian awareness. Brilliant flourescent orange PVC flow-molded over white for maximum visibility. One piece design means no seams to split or tear. Superior flexibility in heat or cold – retains shape after an impact. Cleated base grips the road and the wide body design ensures stability. UV-Stabilizers help prevent fading. 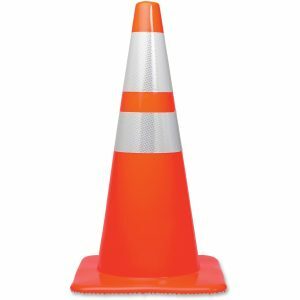 Domestic cone – made in the U.S.A.
Our Traffic Cones are flow molded with fluorescent orange over a white inner layer to produce a brilliant orange color for high visibility. UV stabilizers in the PVC reduce fading for a long product life. 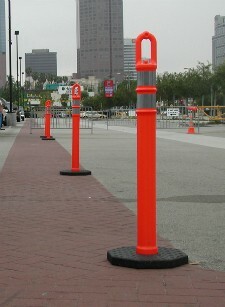 Each traffic cone is fused to a wide skid resistant base with stabilizing feet made from a heavier material to lower the cones center of gravity and increase its stability. Would you like to save time on your worksite? Our cones stay in place so the need to reset them is reduced. In addition to skid resistance, the clever base design prevents the cones from sticking together making cone deployment fast and easy. Our cones meet all Federal requirements and are made in the USA from 100% PVC. 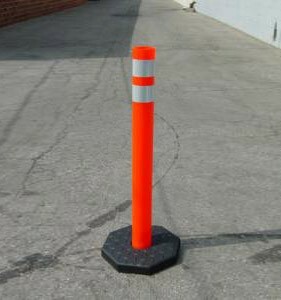 You can increase driver and pedestrian awareness and enhance the safety of your workers by adding Hi-Way Safety traffic cones around your worksite. A recent study on domestic traffic cones using flow molding versus injection molded cones, the principal means of manufacture for foreign produced cones, proved that the dual-layer construction of flow molded cones added visibility and improved reaction time. 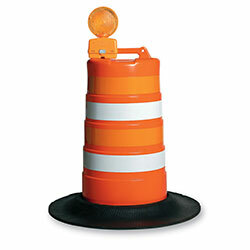 Perfect for providing advanced warning for hazards on work sites, utility work, and lane closures. 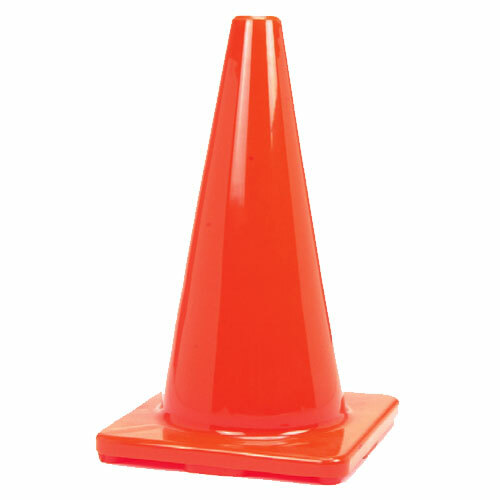 Hi-Way Safety cones have been used by industry professionals for 30 years because they deliver proven performance.